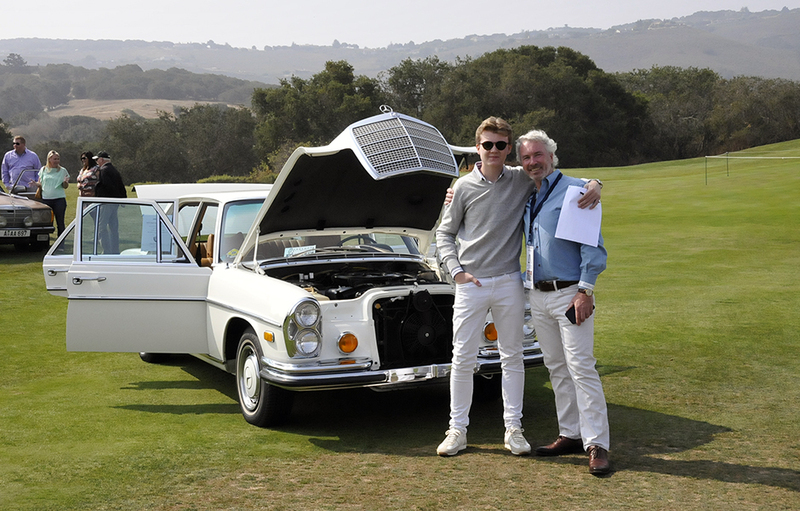 As I eased my 250SE coupe on to the lawn at the Nicholas Golf Club Friday morning during August’s Monterey Car Week, I knew I was going to find some gems among the sprawling display of German hardware. The national clubs from BMW, Mercedes-Benz and Audi were beautifully represented over the brilliant green lawns of the club with each marque making its own distinctive statement. 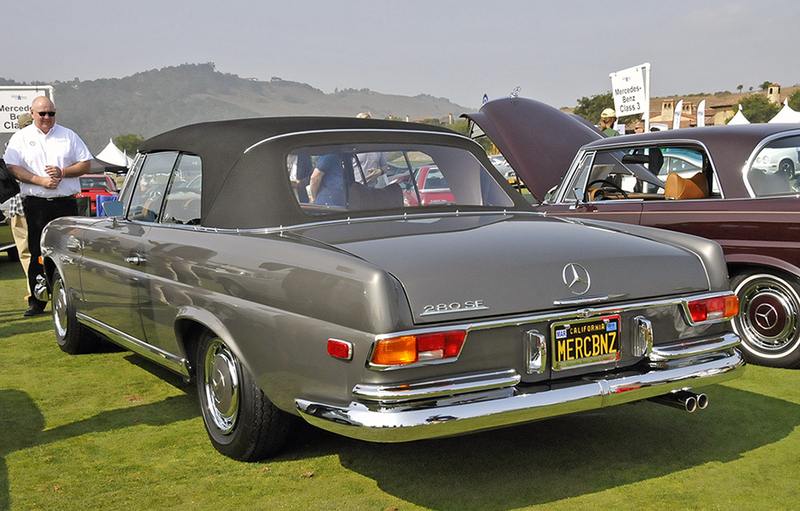 Of course my interest was in the Mercedes Club of America’s display and I immediately sensed an emphasis on younger classics at this year’s event. 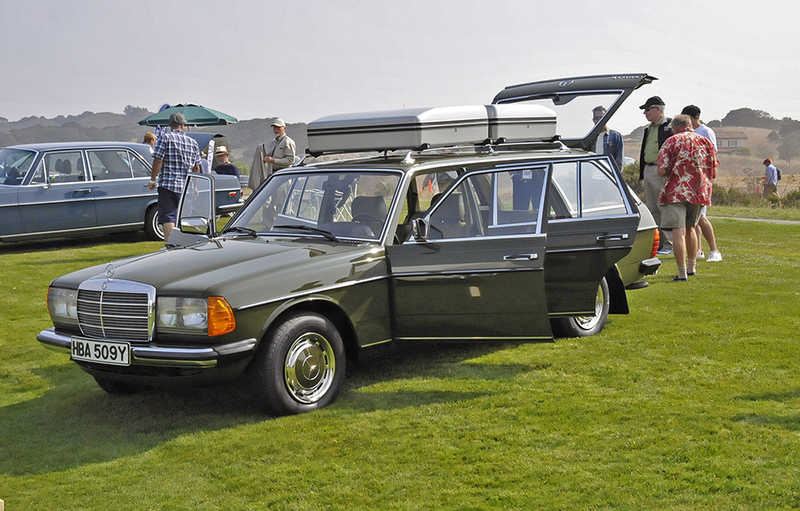 Tastes are evolving in the classic Mercedes-Benz world and the large horseshoe display of W201 190E 2.3-16s revealed this refreshing trend. 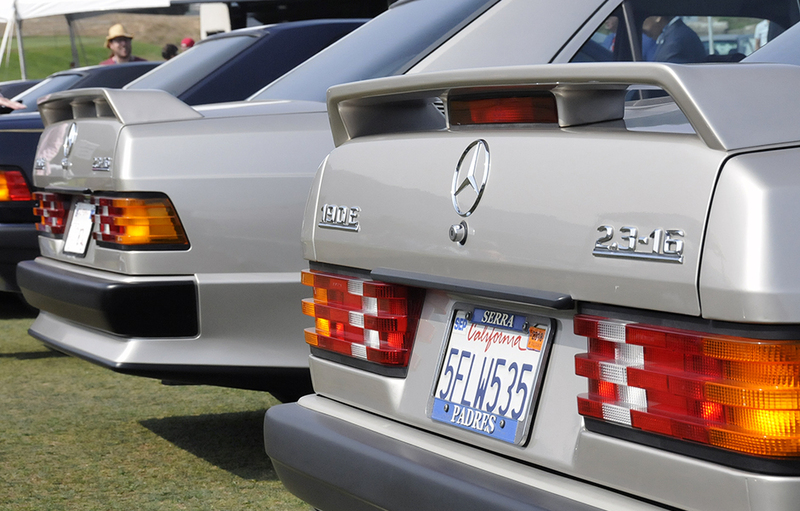 It’s been 35 years since the groundbreaking 190 range debuted with great acclaim and provided the Mercedes-Benz ‘experience’ to a younger clientele. 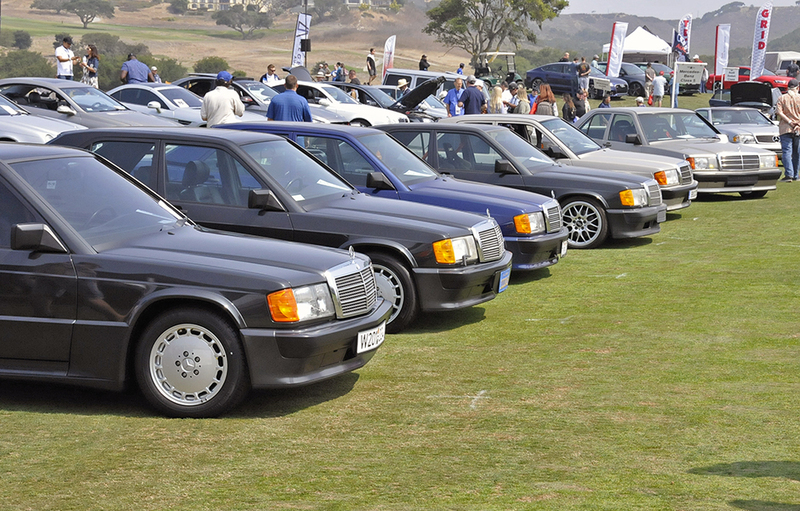 The 190 series achieved in 1984 what the CLA Class renewed in 2014: attracting new buyers into MB’s orbit who would move up the product line as careers and incomes allowed. Today the series is attracting a new and more vibrant group enthusiasts to our hobby. 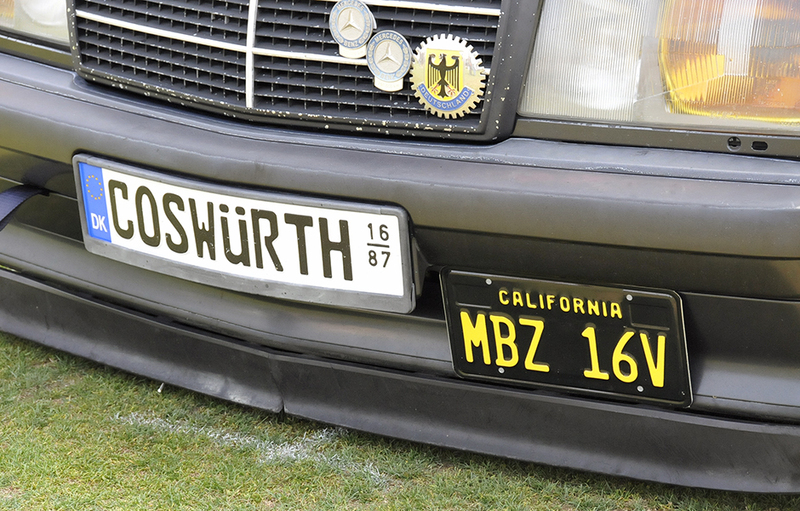 And the Cosworth modified cars are particularly appealing to the younger tuner community. 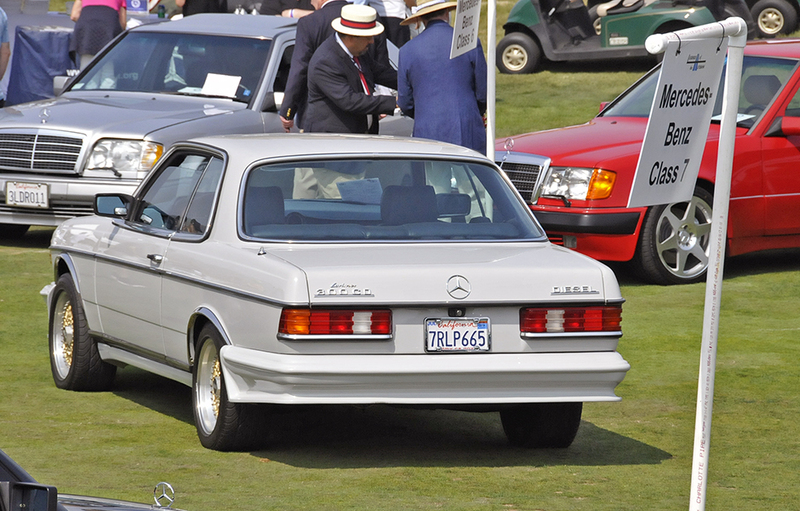 In fact the Best of Show award went to the Best of Mercedes-Benz Euro 1985 190E 2.3-16 of Jeff Wong. 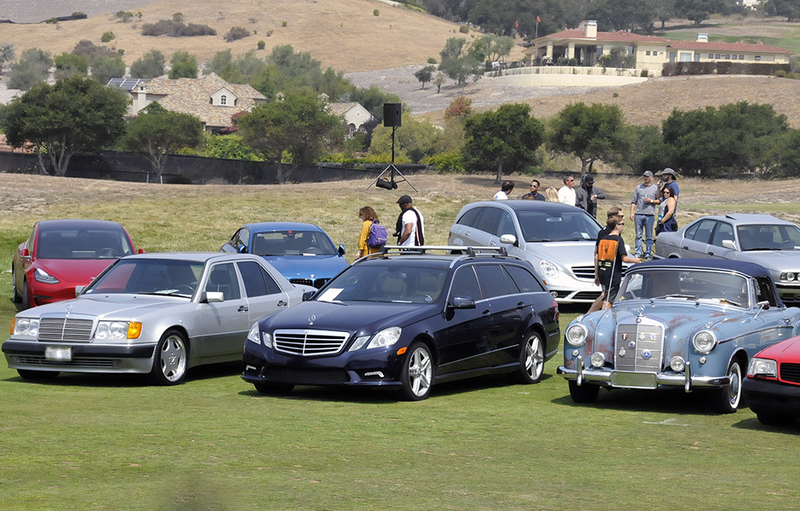 35 years of the pivotal 201 E class were nicely represented at Legends. 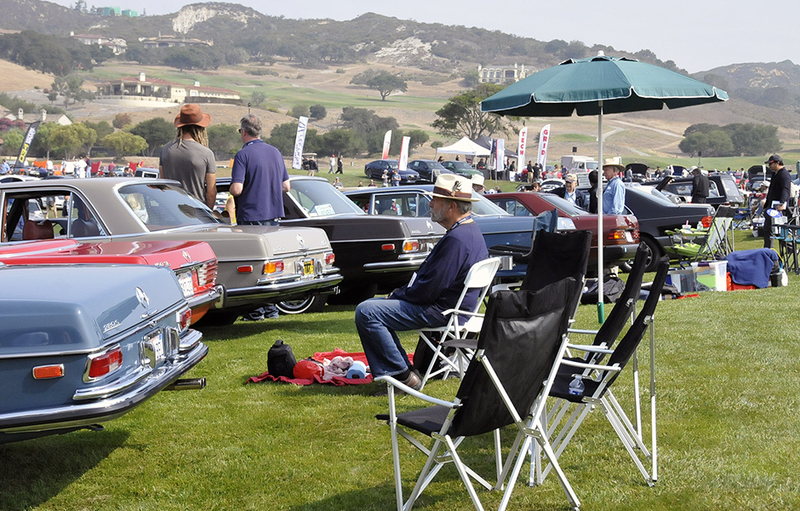 Inevitably we see certain cars on the lawn that we’ve seen in prior years so my mission was to hunt for the new and unusual and/or quirky additions. 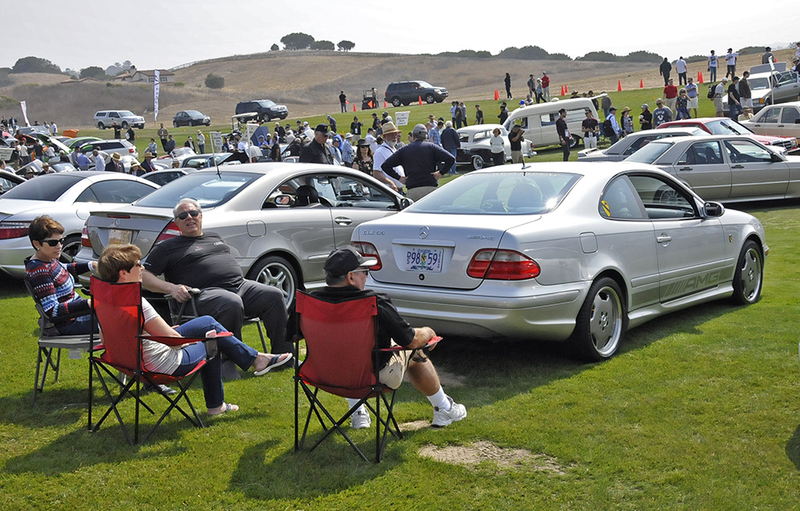 Wandering the field, I was able to chat with event coordinator and arch enthusiast of a variety of classic motorcars, Allen Stephens. Allen and his army of volunteers had again put together a diverse and entertaining display of the MBs that we love. Some stood out more than others, however. 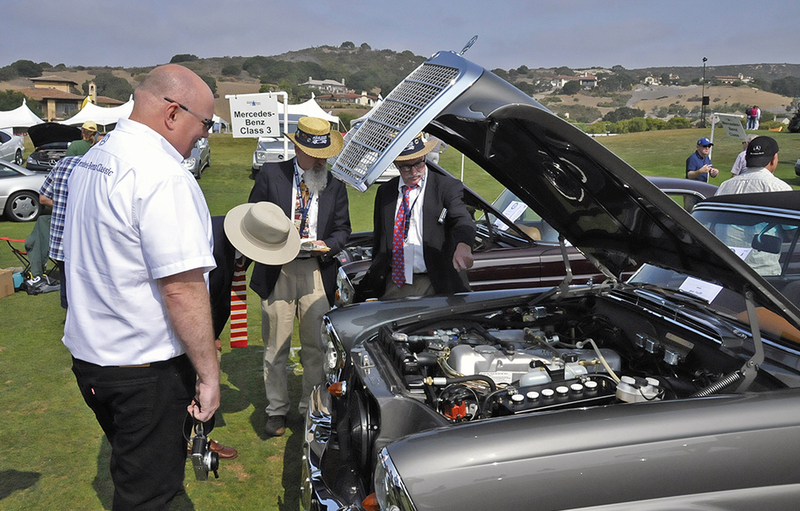 What I initially thought was one of the two superb 3.5 liter V8 280SLs constructed by Bob Hatch was in fact Tom Thornhill’s beautifully conceived resto-mod 4.2 liter alloy V8 230SL. Fitted with a Getrag 6-speed gearbox, 109 (300SEL) rear axle and brakes and 15 inch wheels, Thornhill’s Pagoda should be one quick and well behaving SL and be worthy garage mate with his identically painted and trimmed 300SL Gullwing. As a 123 wagon addict, seeing JG Francis’ stunning Mango green/green MB Tex/cloth Euro 300TD wagon was an unexpected treat. There was quite some buzz about the car a few years ago when it was initially offered for sale in Europe. JG managed to score the car and has prepared it to perfection. 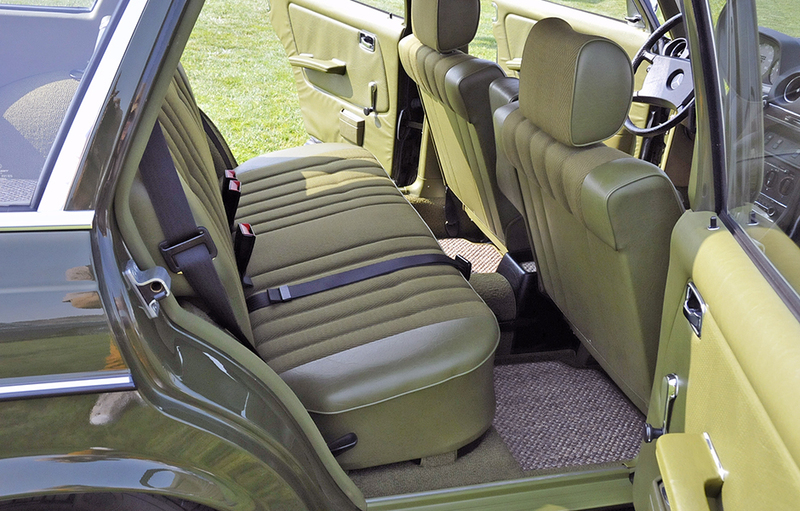 This riot in green is fitted with a manual gearbox and appears unaltered from its clean European profile. Brilliant car. Sitting just a few yards away was the JG Francis TD wagon’s antithesis, the mud brown globe trotting and comprehensively abused 123 diesel sedan that has evidently covered over 826,000 punishing kilometers. Wonderful contrast. Legends is again on my calendar for 2019 and if at all possible should be on yours as well. 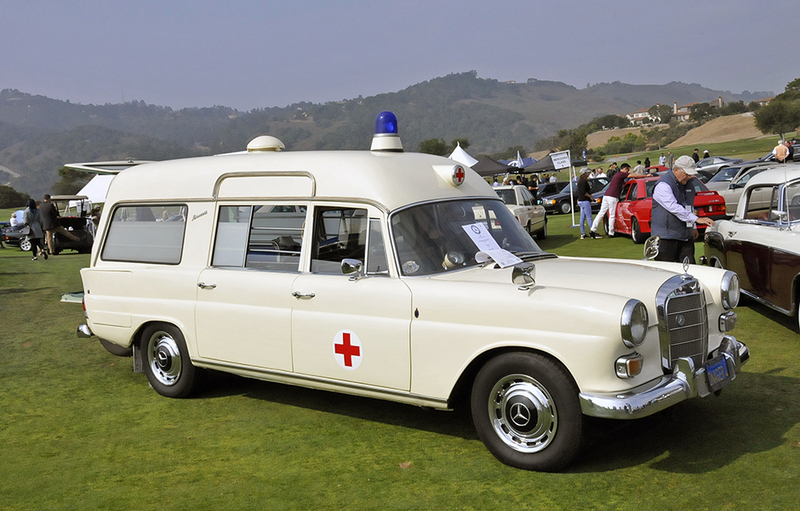 JG Francis displayed his extraordinary mango green 5-spd 300TD wagon. Quite a rare bird. 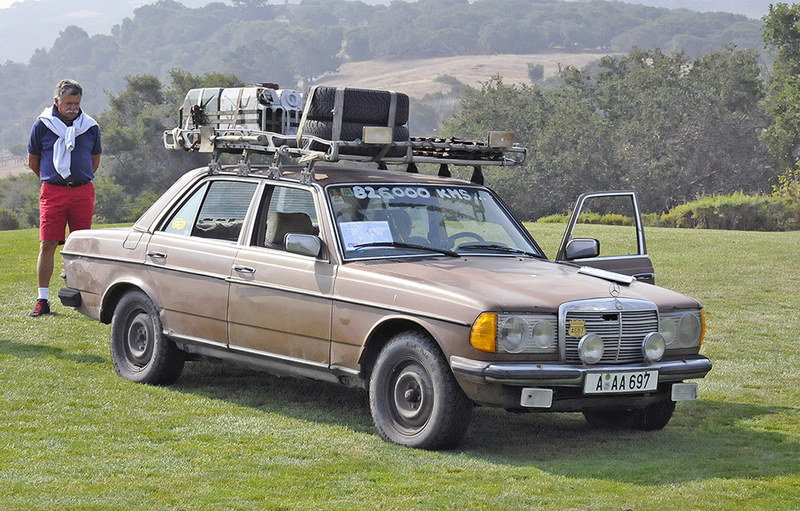 This ragged 123 diesel proudly wears the scars from its 826,000 kilometers of globetrotting. 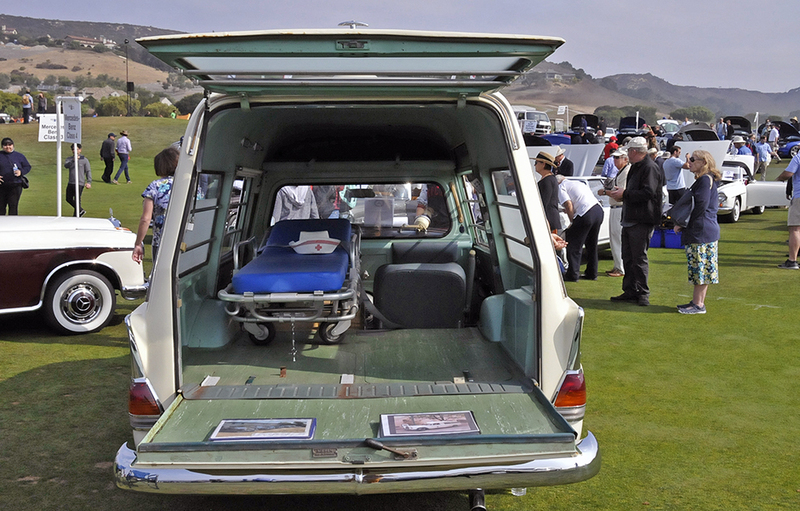 Business end of the cool Miesen fintail ambulance. 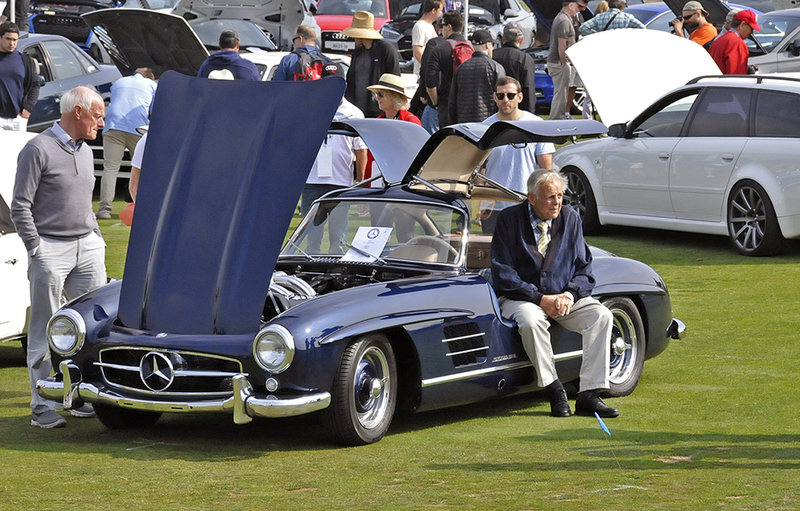 Gorgeous Gullwing a comfortable roost for its color coordinated owner. Bob Gundthorp's rare 1967 Miesen converted 230 fintail. 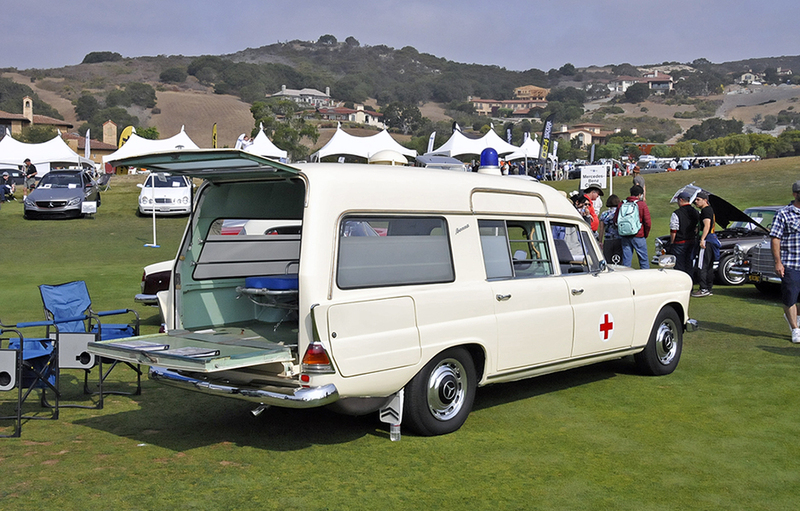 230 fintail ambulance is one of only 406 converted by Meisen. 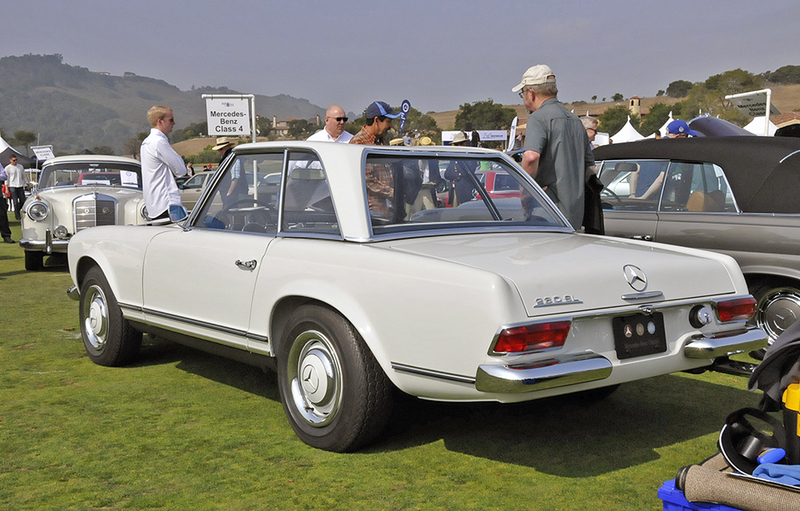 Mercedes Classic Center's recent 230SL restoration handiwork. 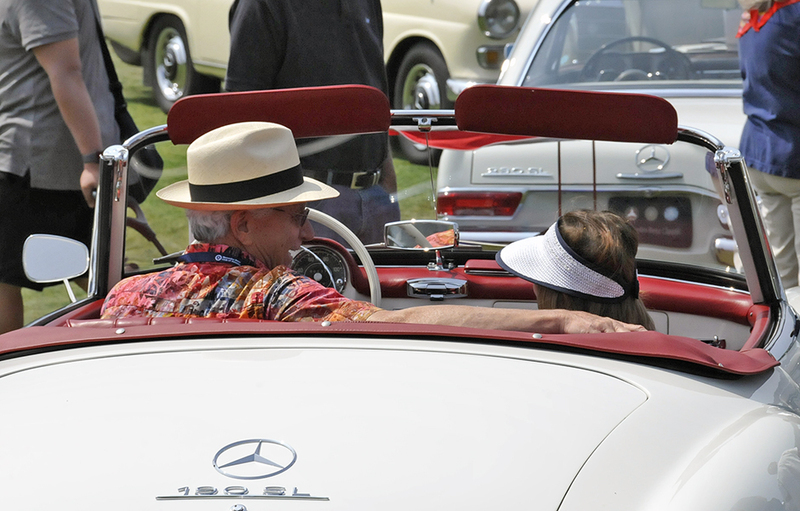 MB Classic Center's Jeff Cote observes judges observing his 280SE cabriolet restoration. 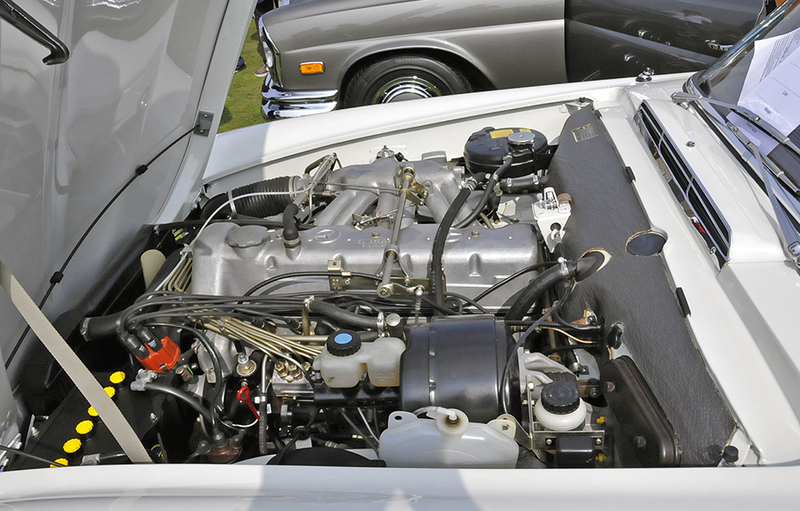 Sparkling freshly restored 280SE cabriolet engine bay. 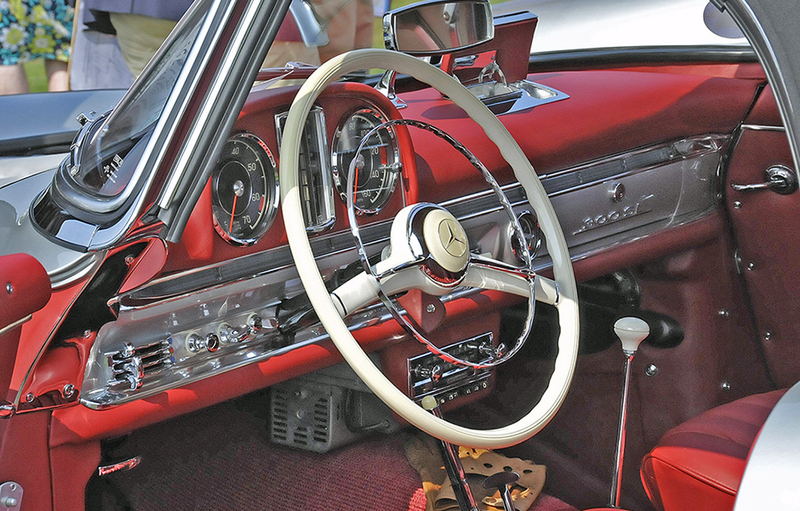 300SL roadster's jewel like interior. Freshly restored 172 anthracite grey 280 'high grille' cabriolet. 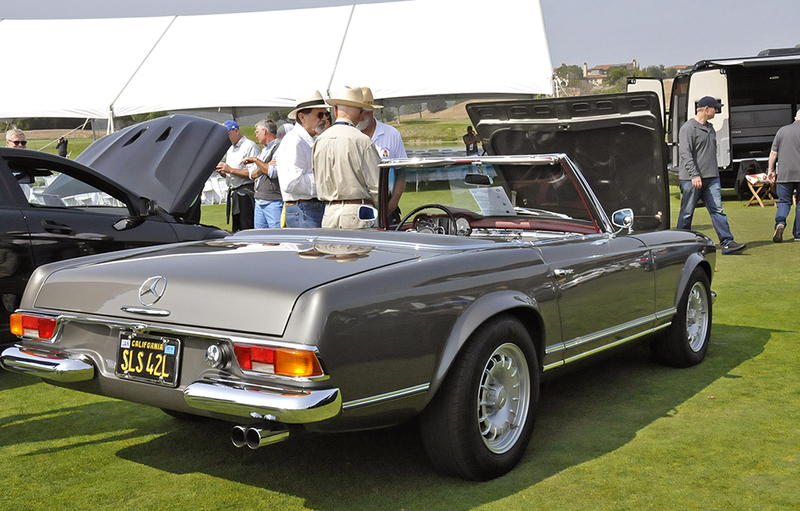 MBCC's fully restored 230SL shown by Gary Jarvis. Sixteeen valve Cosworth 190Es needed a bit more grip via a tail spoiler. 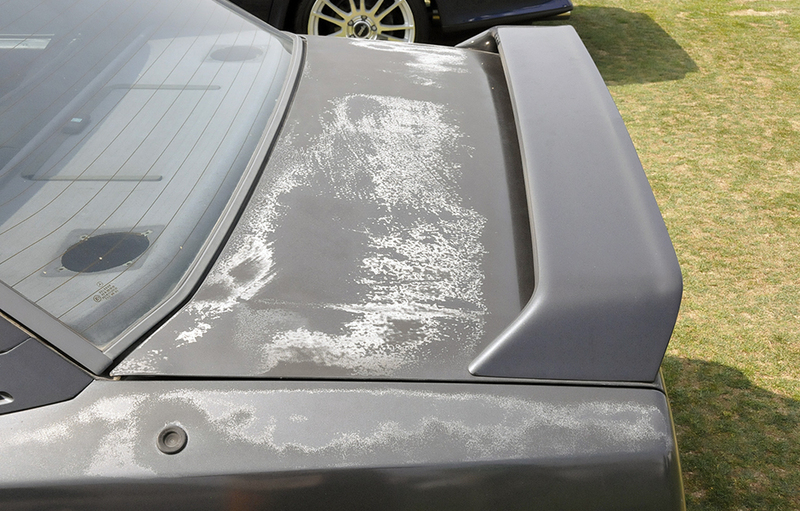 Globetrotting 123 proudly wears its scars. Perhaps evidence of a contretamps with a Giraffe in Africa? JG Francis' riot in green Euro 300TD. 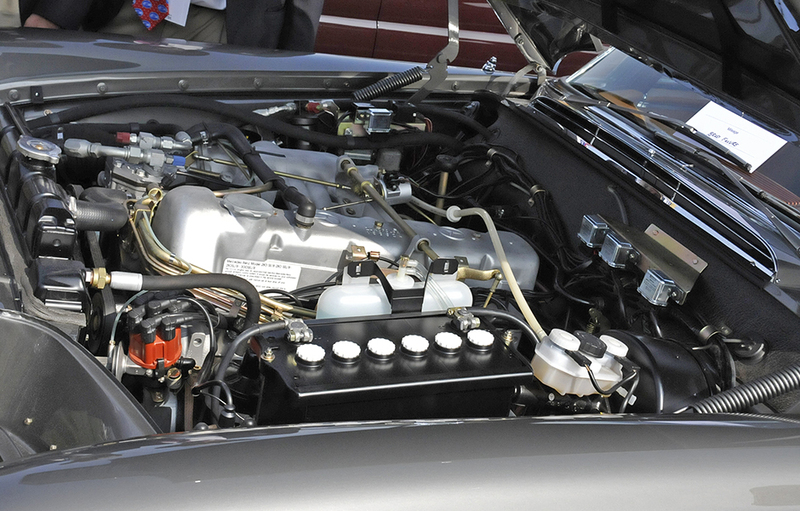 Tom Thornhill's 'resto-mod' 230SL features a 4.2 liter alloy V8 and other neat mods. 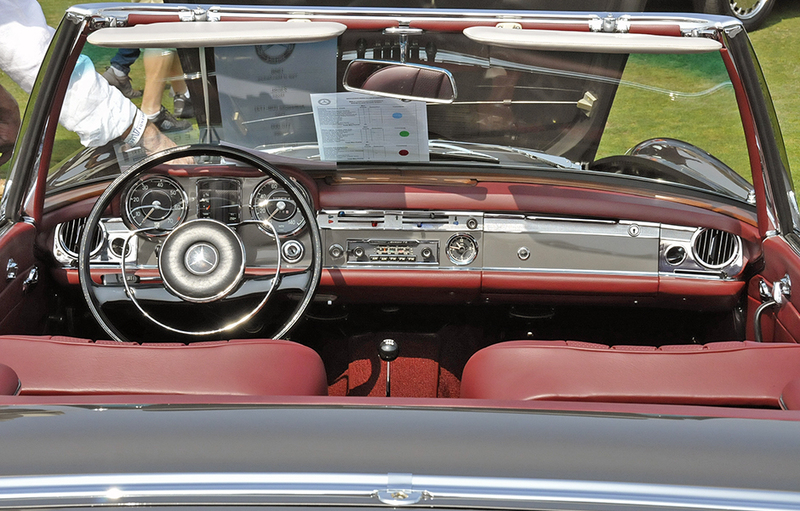 Original interior hides suprises underneath Thornhill's 4.2 liter 230SL. Nice to see a crisp and clean 140 sedan, in this case a long wheelbase 4.0 liter V8 model. 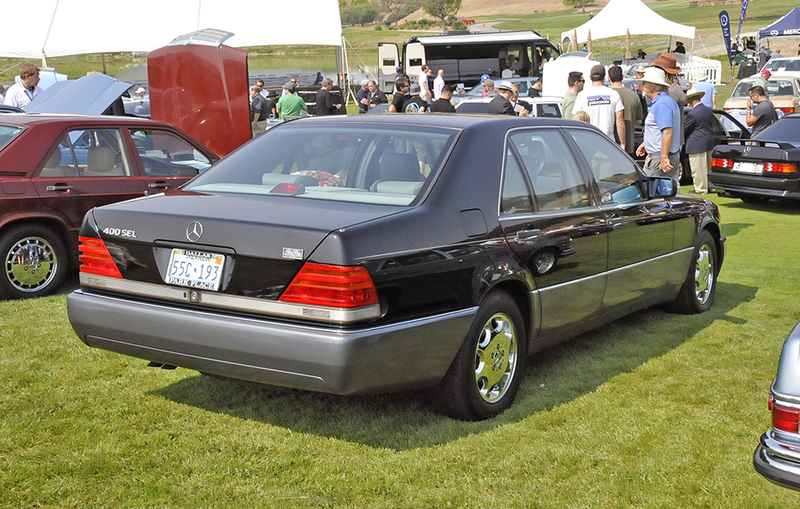 This 300CD sports a Lorinser body kit. Enjoying Legends. CLK55, family and friends taking in the scene. 190E display spiced up with some serious patina. 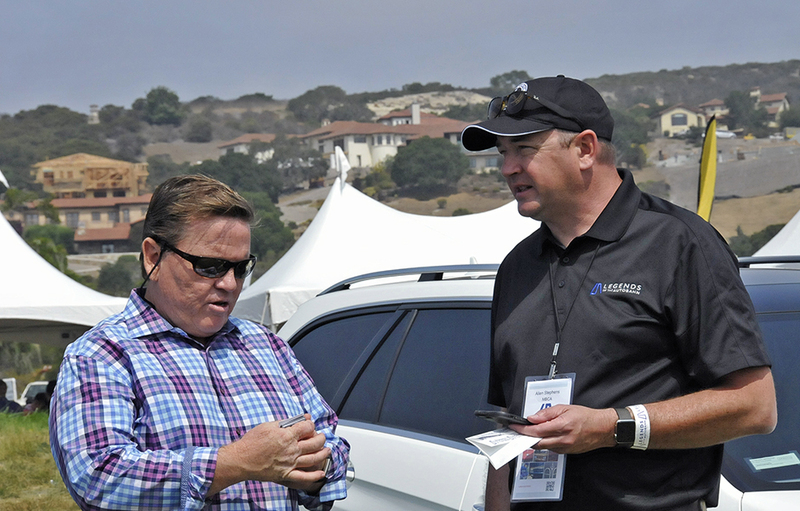 Concours guru Andy Chan (right) chats with Austrailian MB vendor Martin Kass and wife. 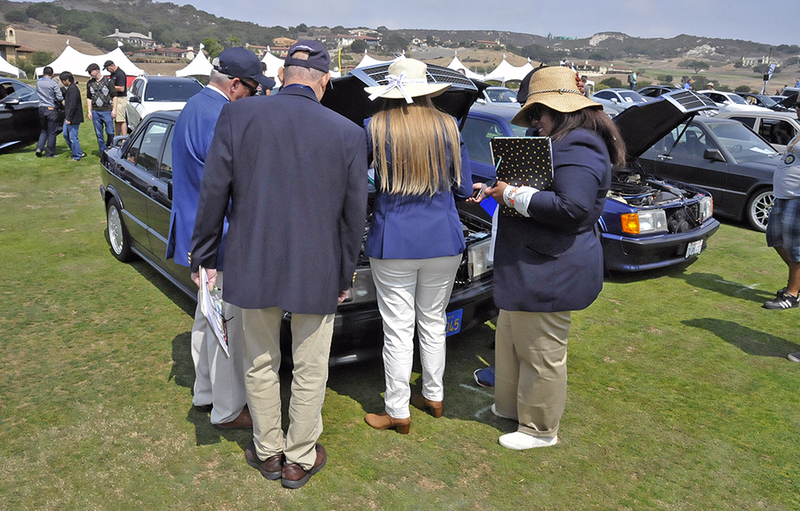 MBCA judges swarm a 190E. 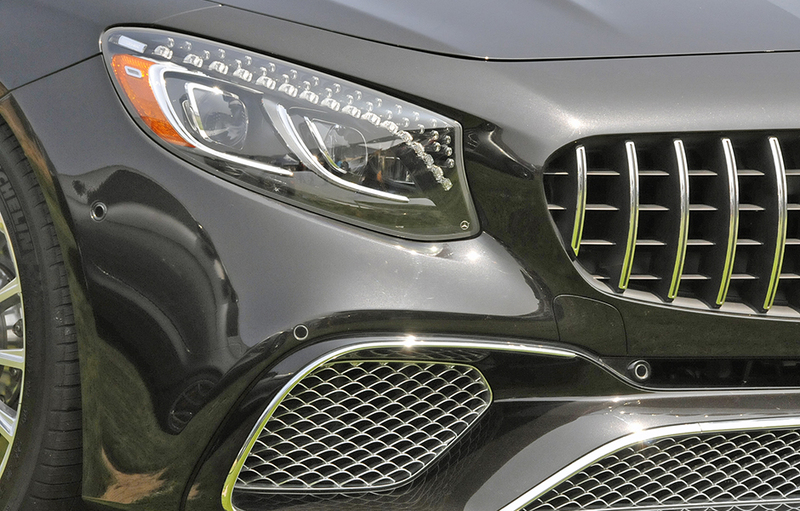 Moderately menacing modern S-class coupe face. Event Chairman Allen Stephens (right) put together a wonderful event. It's all about sharing the experience. 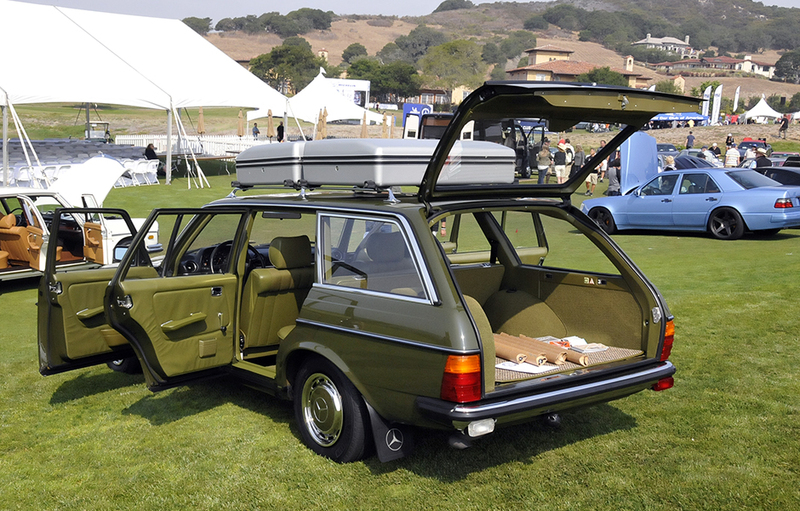 Extraordinary mango green Euro 300TD wagon. 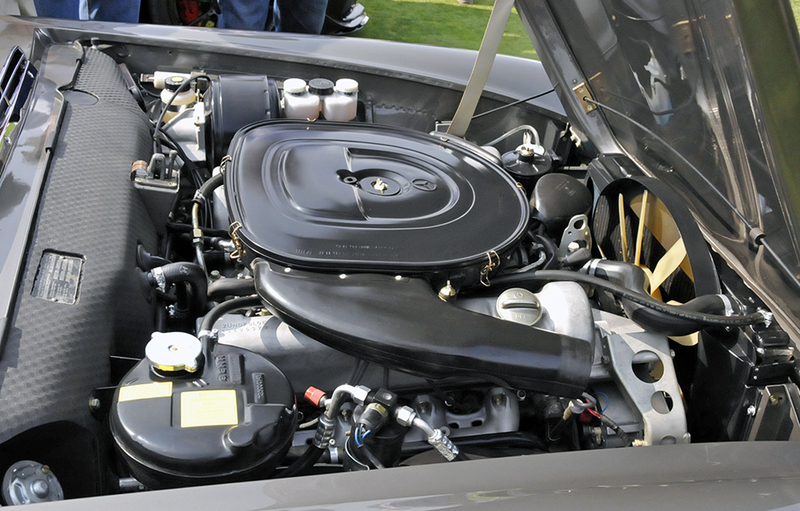 Unlikely scene under the hood of a 230SL: 4.2 liter alloy V8 mated to a 6-speed gearbox. 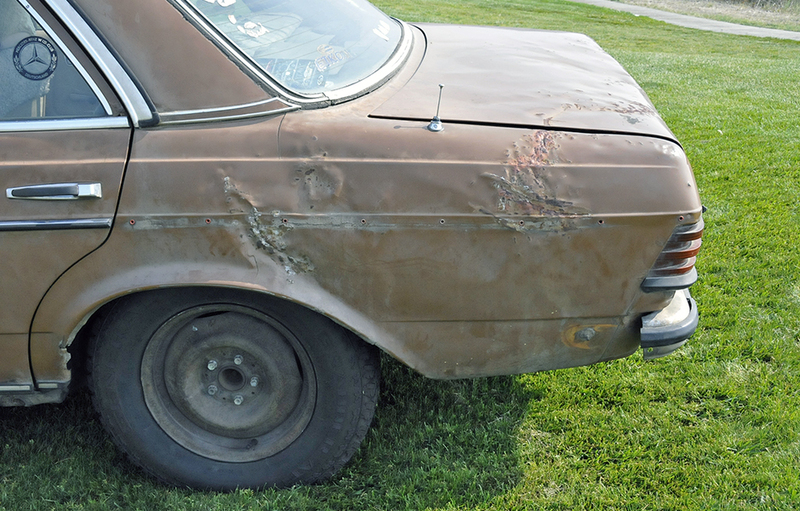 ← 1977 450SEL – Single owner and 9500 miles!